Glass Halo is the luminous story of the intellectual, spiritual, and carnal relationship between a lapsed Catholic stained-glass artist and a charismatic but wayward Catholic priest. Together they confront the mysteries of life and death, love and lust, spirituality and creativity. 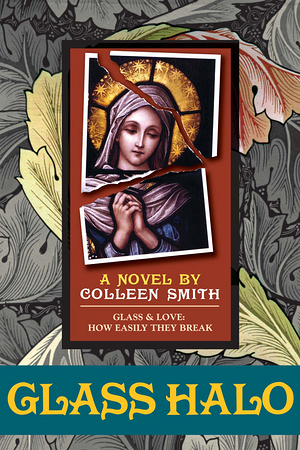 A sensual story of hellish temptation and heavenly grace, Glass Halo addresses vocation, conversion, and the healing power of art.